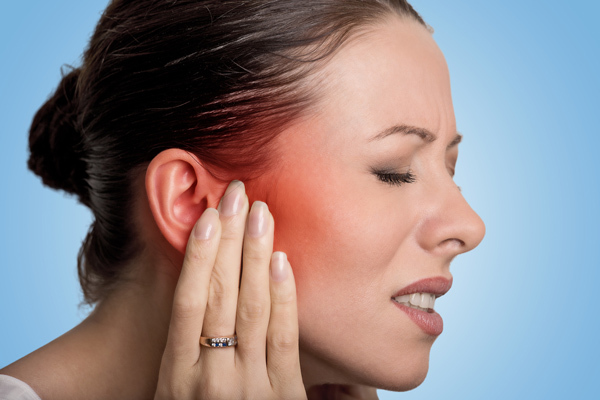 Posted by Impulse Chiropractic March 22, 2019 Comments Off on ARE YOU SUFFERING FROM JAW PAIN? The temporomandibular joint (jaw joint) or TMJ is one of the most heavily used joints in the body. It is used in many day to day tasks such as eating, talking, breathing and also facial expression. This high workload combined with the complexity of the joint structure means that the TMJ can quite often be a source of pain and dysfunction, which is referred to as TMJ disorder or TMD. The TMJ refers to two symmetrical synovial joints that connect the left and right sides of the jaw to the skull. 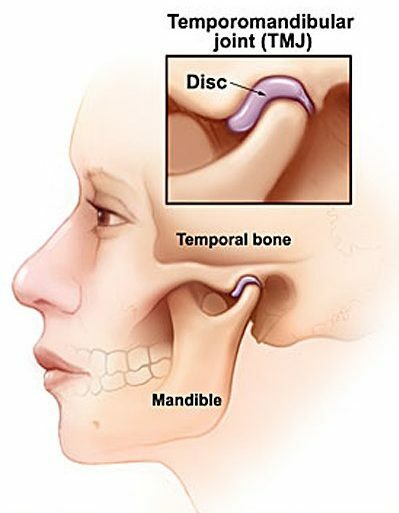 The mandible (jaw bone) joins to the temporal bone of the skull. These joints are located just in front of each ear. Inside each TMJ joint is a cartilage disc called the articular disc. Externally the joint is surround by ligaments and muscle tissue. The muscles of the TMJ work together to produce the complex movements involved with chewing, talking, breathing and facial expression. These movements include opening, closing, side-side movement, protraction and retraction. The clicking or popping that is often associated with this disorder most often comes from movement and displacement of the articular cartilage disc that sits between the joint surfaces. The clicking can occur throughout different phases of movement and in all different directions. It may be a result of joint hypermobility or degradation of the cartilage itself. Myofascial pain dysfunction (MPD) syndrome: Pain related to muscle tension and spasm. Internal derangement: The issue lies within the joint, most often related to the position of the articular disc. Degenerative joint disease: Relates to arthritic changes to the joint surfaces. TMD can also be classed as jaw opening or jaw closing disorders. Diagnosis of TMD can be made by your chiropractor or other health practitioner (physiotherapist, osteopath, dentist). TMD can be diagnosed clinically through patient history taking and physical assessment. If required the practitioner may request dental x-rays, CT scan or MRI scans to further investigate the extent of the issue. Treatment for TMD varies on a case by case basis. Everyone is different, and treatment is tailored to suit that person and the diagnosis. Stress management strategies For some issues such as dental occlusion and teeth grinding patients may need to consult their dentist to have a splint or plate made for them. Chiropractic therapy for TMJ opening disorders is usually successful. For some issues such as dental occlusion and teeth grinding patients may need to consult their dentist to have a splint or plate made for them. Chiropractic therapy for TMJ opening disorders is usually successful.